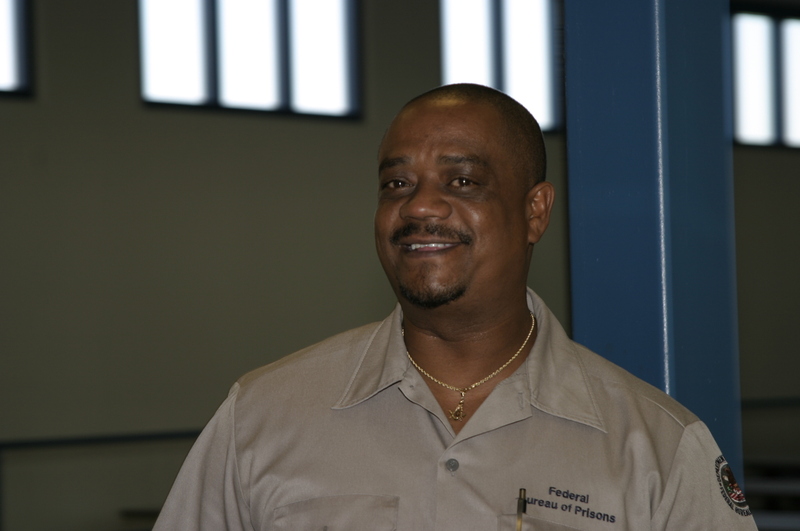 Supervisor Michael Baskett was killed after being struck by a motorized delivery cart while supervising inmates inside the food services warehouse at the Federal Medical Center Butner in Butner, North Carolina. Supervisor Baskett was speaking with a delivery driver when an inmate in another part of the warehouse placed a box of paper on the cart's floorboard. The box accidentally depressed the forklift's accelerator, which caused it to move forward at full speed. As the cart sped across the warehouse floor Supervisor Baskett pushed the delivery driver out of its path, saving her life. The cart struck him, pinning him underneath it. Several inmates and other officers immediately moved the cart off of him and began CPR, but were unable to revive him. Supervisor Baskett was a U.S. Army veteran and had served with the Federal Bureau of Prisons for 18 years. He had previously served with the North Carolina Department of Corrections for nine years. He is survived by his wife, two children, and two step children.